Rock climbing on Ko Yao Noi. 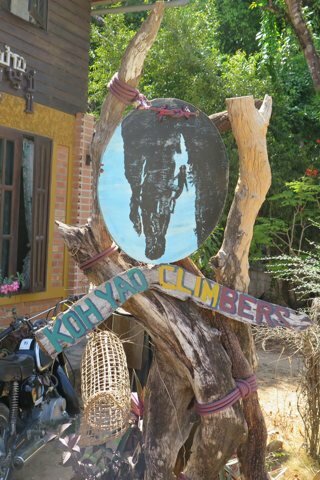 Ko Yao Noi has a burgeoning climbing scene with more than 50 bolted routes of varying difficulties to explore and hone your climbing skills. Those looking for a less busy alternative to Railay beach in Krabi and Ko Phi Phi will find some challenging climbs here, some of which may only be reached by boat. The Mountain Shop based at Tha Khao pier offers guided trips and instruction, and also sells a detailed guide book for those looking to do some vertical exploring on their own. They also have some brief information on their website.